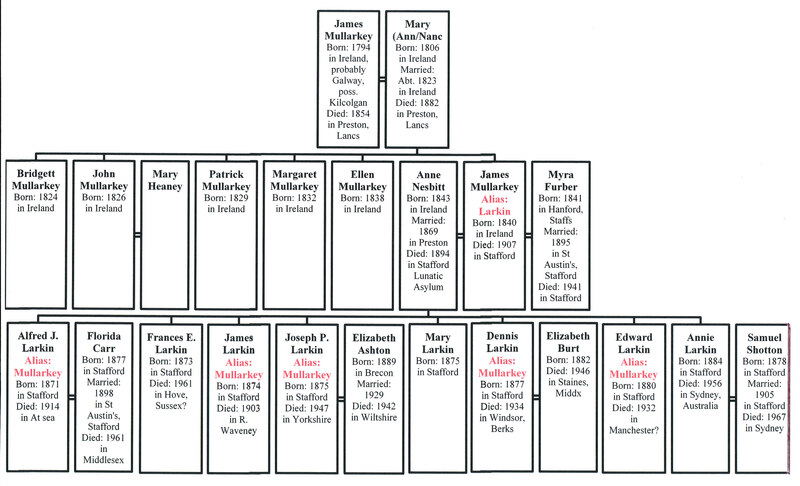 The Larkin or Mullarkey family are interesting because they provide rare evidence in Stafford of identity tensions that affected in-migrant families down the generations. Explaining the origin of those tensions is not straightforward, but they expressed key choices made by family members. This post outlines the background and initial history of the Larkins. The following post will look at how the family’s history developed and what we can make of it. Immigrants to Preston: Mullarkey or Larkin? James Larkin moved to Stafford from Preston in Lancashire in 1862 when he was a young man of twenty-two. Although born in Ireland in 1840, his family came to Britain during the Famine and he had already lived the majority of his life in England. He presumably spoke with a hybrid Irish-Lancashire accent. His sense of self was influenced by the tension between an Irish family home and the need to make his way in the wider society, initially in the hard environment of an Industrial Revolution town. 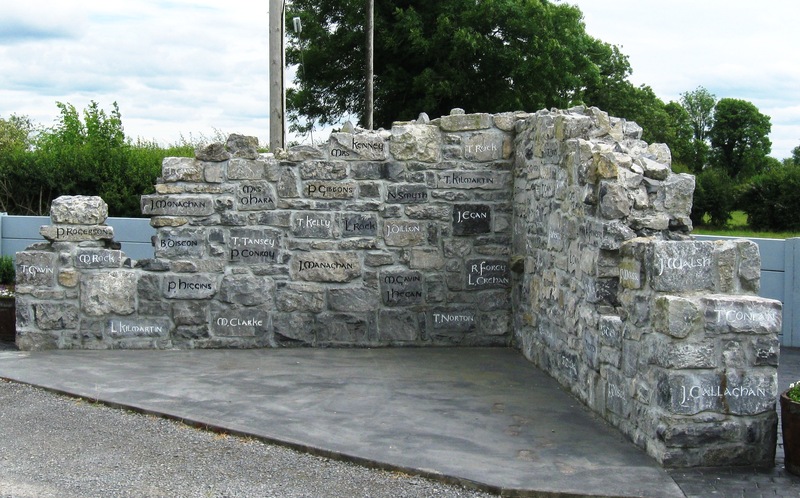 His history is illustrative of many Famine immigrants who had been young children in Ireland, had then experienced the searing impact of the Famine and subsequently lived most of their youth in stressful conditions in England. It gives us some idea of the dilemmas he faced and the consequences for his family down the generations. James Larkin’s real name was James Mullarkey. He changed it to Larkin when he moved to Stafford. We therefore need to begin the story with a look at his family’s earlier history in Preston. The Mullarkey family came from Connacht and, although the surname is commonest in Sligo and Mayo, family legend is that these Mullarkeys came from Co. Galway. James Mullarkey’s father was also called James and in 1851 he was working as a cooper, a relatively skilled job but one he may have been doing as a back-street enterprise on his own account. The fact that his son Patrick and daughter Bridget were also coopers suggests they worked as a family unit. James, his wife Mary and their six children were packed into a slum in Back Simpson Street with two other families. It was a grim existence typical of impoverished Famine immigrants. James senior was already fifty-seven and he died in 1854, but four of the children were now adults and able to earn money for the family household. Family cohesion was strong and five of the six children were still living with their widowed mother in 1861 when they were in their twenties and thirties. In the mid-1850s young James Mullarkey started work and he got jobs in the cotton mills. By 1861 he was a self-acting spinning mule minder. It looked as though he was destined for a life in the textile industry, but James then made a radical shift of occupation. On 4 July 1862, using the name Larkin, he started work as a railway engine cleaner at Stafford shed. He had suddenly moved outside the tight family unit. Why did he change his job and, more importantly, why did he change his name? Family descendants do not know why James Mullarkey became James Larkin; there is no surviving evidence. We are therefore left to speculate, and there are three possibilities. The first is that he had something to hide and that he changed both his name and job location to escape his past in Preston. The evidence does not support this. During the 1860s James still went back to his home town and in 1869 he was married there – as James Mularkey (sic). His bride was Anne Nesbitt, an Irish cotton worker whose family had settled in Preston in the 1850s. Furthermore, in Stafford the couple’s children were baptised at St Austin’s under the name ‘Mullarkey alias Larkin’, so his alternative name was no secret in the local Catholic community. The births were registered under the name Mullarkey. These facts also tend to disprove a second explanation – that James Larkin wanted to bury his Irish origins because he had experienced hostility and discrimination in Preston and was making a new start with an English identity in Stafford. He may well have experienced anti-Irish hostility in Preston, but the fact that in 1861 he was a self-actor minder, a relatively skilled and well-paid job rare amongst the Irish, suggests he had not suffered crippling discrimination. If he had really wanted to hide his Irish origins he would not have chosen the ethnically ambiguous, but frequently Irish, surname of Larkin. He clearly wanted to keep an element of the Mullarkey name. This all points to a final possibility – that he just did not like the name Mullarkey or was embarrassed by it. Although use of the word ‘malarkey’ to mean contemptible nonsense did not become current until the 1920s, the surname Mullarkey may well have carried comic ‘stage-Irish’ connotations before that. James perhaps thought it was a burden he could do without and that he wanted a less obtrusively ‘Irish’ name whilst not totally rejecting his Irish heritage. He made a quirky individual decision but it was to leave his children with a dilemma. Why did James Larkin switch to railway work and come to Stafford? The reason was that he lost his job in the mill during the ‘Cotton Famine’ in Lancashire caused by the American Civil War. By July 1862 more than a quarter of the Preston population was destitute and in December 1862 forty-nine per cent of all operatives in the cotton districts of Lancashire were out of work. James Mullarkey was one of them and his answer was to look for a more secure job on the railways. Although Preston was an important junction on the LNWR line to Scotland, too many men were now looking for railway work there and James had no luck. He was, however, a reliable single man who had had a good job in the mills, and he was told that if he would move there were openings elsewhere. That is how he arrived in Stafford. In 1860 the LNWR directors decided to make Stafford the border station between the company’s Southern and Northern divisions. It meant that all trains passing from one division to the other changed engines there and a sudden large increase in railway activity took place in Stafford in 1861-2. The company was taking on more men and James Mullarkey – or Larkin – was one of them. Having started as a cleaner, James moved on to the footplate as a fireman in May 1864. Five years later he was driving trains as a ‘passed fireman’, although he was still learning his trade. In March 1869 he was fined £1, nearly a week’s wages, for not having his train under control and crashing into a bridge at the end of a loop line. He officially became a driver on 30 March 1871 and worked the routes to Shrewsbury, Welshpool, Rugby and Birmingham for the rest of his career. He did not become a ‘top link’ driver, probably because his disciplinary record continued to be punctuated by incidents of carelessness. He was, however, fairly typical of most drivers at Stafford shed and it reflected the nature of the job – shift work with long hours, poor conditions and draconian discipline imposed by a parsimonious company. Overall, James Larkin’s work put him amongst the labour aristocracy of Victorian England and provided the security to develop a respectable lifestyle in the town. James lodged with other railway families in his early years in Stafford. As we have seen, he married Anne Nesbitt in 1869. Anne probably came from an army family that had fallen on hard times. There is no record of her father in Britain, but her mother Mary had been born on Spike Island, Co. Cork, and two of her daughters were born in the West Indies, all of which suggest a forces family. By 1861 the widowed Mary was scraping an existence as a sweeper in Preston. Her daughters worked in the mills, but Anne had already moved out of the family home and was lodging in Walton-le-Dale, a southern suburb of the town. This suggests an independent streak. Her marriage to James Larkin brought together a couple who could aspire to a respectable artisanal lifestyle. 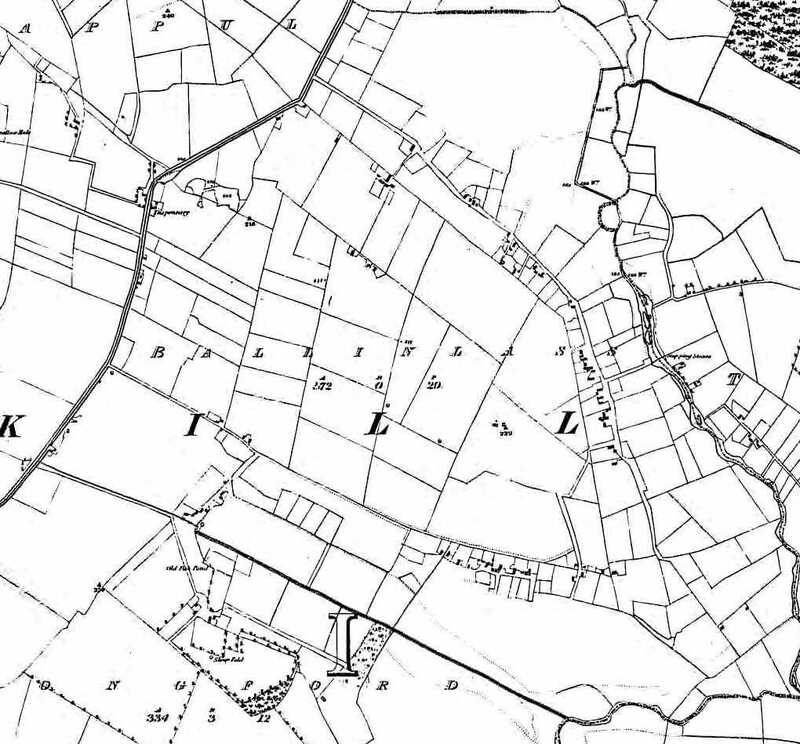 In 1871 the couple were living at 35 Railway Terrace in Castletown, Stafford’s railway suburb, and they already had one child, Alfred. Between 1872 and 1884 they went on to have seven more surviving children. The house in Railway Terrace proved too small and by 1881 they had moved to New Garden Street, a respectable street in Forebridge. The family was to remain there for over twenty-five years. Although the Larkins had the trappings of a lace curtain life style, the evidence suggests a family with tensions. In 1882 James was summoned before the magistrates for failing to send his children to school. The other miscreant in court that day was the much less respectable John Kearns from Red Cow Yard. This brush with Stafford’s deprived underclass must have shaken the couple. Anne Larkin would have been ashamed and made sure it never happened again. Some of the children now settled down to diligent school careers which led to modest preferment by their teachers. In 1886, for example, Frances (b. 1872) was one of the cast in St Austin’s School’s production of the operetta ‘Genevieve’. The Larkin family continued to be practising Catholics. Even so, life in the Larkin household was not all Catholic respectability and in the next post we shall see the problems they faced and how the family ultimately broke up and disappeared from Stafford. Information from John Macrae, a descendant, derived from Paul Mullarkey and Joseph Patrick Mullarkey, October 2008. Preston RD, Deaths, Jan-March 1854, 8e/289, James Mullarkey. Stafforshire Record Office (SRO), D1225, LNWR Staff Register, Stafford, 1898-1927. 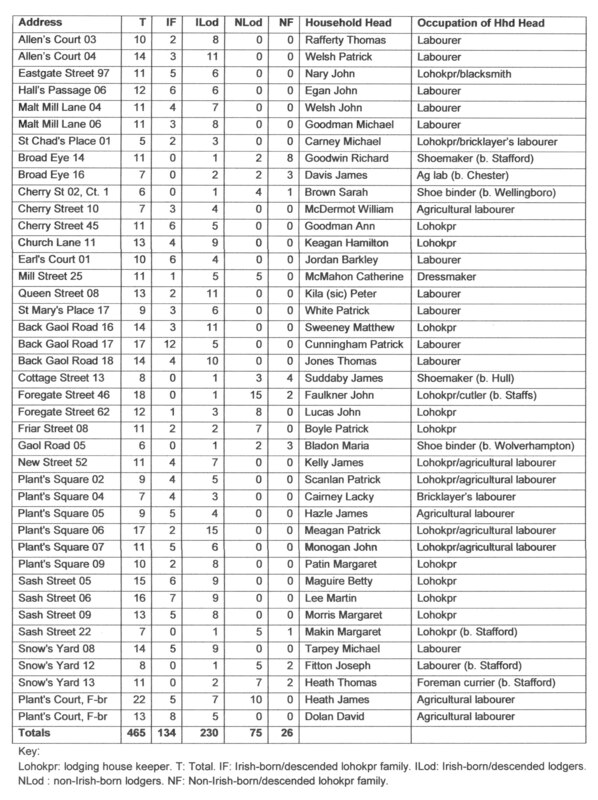 The register includes details of all staff recruited since 1858 who were still working in Stafford in 1898. Preston RD, Marriages, April-June 1869, 8e/739, Ann Nesbitt and James Mularkey. Ann’s name was variably spelt Anne and Nesbit. Birmingham Archdiocesan Archives, P255/1/4-5, Stafford, St Austin’s, Registers of Baptisms, 1870-1890. 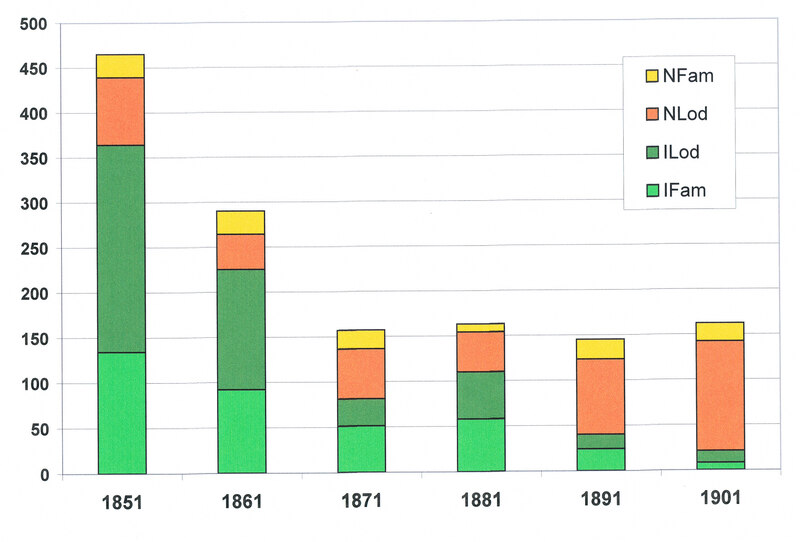 Osgood, ‘The Irish in Ashton-under-Lyne in the 1860s’, Transactions of the Historic Society of Lancashire and Cheshire, Volume 149 (2000), Table 5. Concise Oxford English Dictionary, 11th edition, ed. Catherine Soanes & Angus Stevenson, (Oxford, Oxford University Press, 2004). Watts, The Facts of the Cotton Famine, (Originally published 1866, London, Frank Cass and Co. Ltd., 1968), p. 117; J. K. Walton, Lancashire: a Social History, 1558-1939, (Manchester, Manchester University Press, 1987), p. 241. Talbot, Railways in and around Stafford, (Stockport, Foxline Publishing, 1994), p. 6. SRO, D1225, LNWR Staff Register, James Larkin, conduct record, 1 April 1869. He was earning 4s a day at this time. SRO, D1225, LNWR Staff Register. He was fined or suspended twenty-seven times over a period of thirty-eight years. SA, 2 January 1886. Her name is given as ‘Florence’, presumably a reporter’s error. There are many general impressions of the long-term history of Irish immigrants and their descendants in Victorian and Edwardian Britain but there is very little detailed knowledge. My research on Stafford’s Irish families has filled this gap for one small town. Researchers now need to study other places to see whether the fate of the Irish in Stafford was typical or not. 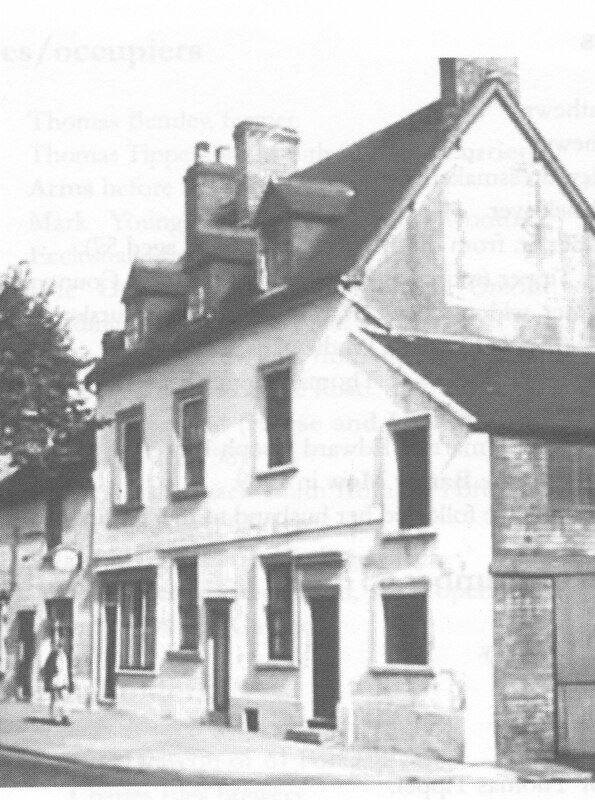 206 Irish families lived in Stafford for at least ten years during the nineteenth century. They were a cross-section of those who left Ireland in that troubled period but what happened to them after they settled in the town? Despite the uniqueness of every family’s history, their paths went broadly in one of three directions. The table shows them. Rather more than one third of Stafford’s Irish families proved to be long-term transients. In other words, they settled for a time but in the end the initial settlers and/or their descendants left. The long-term transients shaded into a second group, terminal families. These families settled long-term in Stafford but put down no permanent roots. They just faded away and literally became extinct. Just under one fifth of the families proved to be of this type. Had things have gone more favourably, some terminal families might have survived to become integrating families. Approaching half of the 206 families did put down deep roots in Stafford. They intermarried with local people and produced significant numbers of children. Their descendants are still to be found in the town today, although family members also migrated to other places in the Midlands and the wider world. 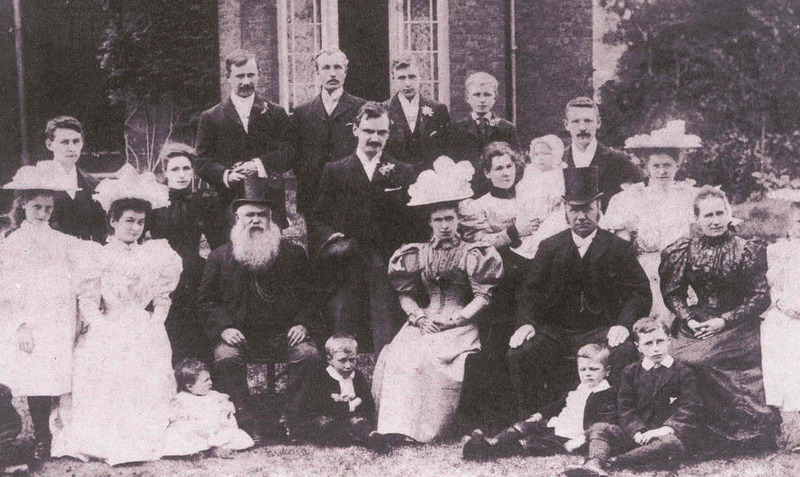 Integration in action: the wedding of Bernard Corcoran and Kate Williams, Stafford, 25 June 1896 (courtesy Sally Ann Harrison). The challenge is to explain why particular families broadly followed one of these three paths. The evidence shows there was no significant link between family fate and religion, region of origin or whether a family was ethnically-mixed or ‘all-Irish’. Initial jobs did show a weak link in that families from the military and the shoe trade were rather more likely to integrate whereas rather more of the terminal families were labourers. But the date of arrival and the structure of families were more important factors. The proportion of families who proved to be terminal was relatively constant except for those who settled in the post-Famine decade of the 1850s. They ultimately died out at more than twice the rate of settlers in other periods and this reflected the disruption and social wreckage produced by the Famine. The proportion of families who proved to be long-term transients became smaller the later they settled in Stafford and, conversely, the proportion who integrated was generally larger the later they settled. This increasing tendency to integrate was partly due to support from the reservoir of existing settlers to help newcomers settle successfully. It was also because settlers and their descendants were increasingly likely to be absorbed into the host community because of the relatively small numbers of Irish in the Stafford’s population. Family structure also influenced fate. Many integrating families were big extended families whereas many terminal families were lone individuals or childless couples whose families died out when they did. Nuclear families diverged equally in all three directions. Lone individuals demonstrably failed to develop new and family-sustaining relationships whereas extended and complex families emerged precisely because their members intermarried with the host population and became more committed to lives in Stafford. The fates of Stafford’s Irish families therefore reflected complex and dynamic circumstances. Above all it was the character and relationships of family members and how they responded to the opportunities and challenges of Victorian life in Stafford that determined the paths their families took. The book Divergent Paths examines in detail the history of a cross-section of these families to discover what happened to them and why.